Public administrators have a tough job in that they are working for all citizens in a fair and honest manner. This is specifically true for criminal justice personnel such as law enforcement officers, correction officers and judges. Yet, some citizens may not feel that the door is always open for them to discuss issues and plights about state or their local neighborhood issues including road conditions, recreational activities for children or rising crime rates. 1) Crime is primarily a conflict between individuals, which results in injuries to victims, the community and the offender as well. 2) The principal aim of the criminal justice system should be to repair these injuries. Therefore, promoting peace and reconciling parties is much more important than punishing the guilty. 3) The criminal justice system should facilitate involvement of victims, offenders and the community. The final component promotes that open-door policy in our criminal justice system. The restorative approach mentioned above can lead to healthier and safer communities. In addition, community involvement brings citizens closer to law-enforcement and other public administrators such as commissioners and mayors. This involvement aids in creating and promoting successful crime control measures, implementing new and improved policies and encouraging a more trusting relationship amongst the two parties, citizens and public administrators. Nevertheless, it is apparent that many citizens have lost faith in public administrators, especially law enforcement officers, due to the overwhelming amount of corruption and inequality that plagues the system. Many have become silent on reporting crime and feel as though law enforcement officers are simply doughnut-lovers who don’t want to be bothered with the community issues or believe that law enforcement has simply given up on their duty to serve and protect due to the high amounts of crime in many low-income neighborhoods. Such a dismal mentality, along with current news and media reports of law enforcement’s abuse and corruption, has really dampened the community-oriented approach to crime control. However, it is only logical that effective crime control includes a group effort. It takes continuous teamwork and a collaborative approach that includes all participants of the community from citizens to victims, past offenders, community leaders, law enforcement and let us not forgets school administrators, especially with the increase in school shooting, bullying and violence. It is also safe to say that implementing such programs like citizen patrol groups can be a very effective crime control measure as they comprise of volunteers who expend their time and effort to combat crime. John Worrall explains citizen patrols in his book titled, Crime Control in America: What Works? They are “volunteers who are often provided with some type of government vehicle and often patrol the streets during daylight hours.” Such active participants know the community well, so they are able to accurately survey the community and accurately assess high crime areas, thus directing law enforcement to those areas for more proactive patrol. Furthermore, the citizen patrol program can bring law enforcement and citizens together to create that open-door policy in the criminal justice system that is very much necessary for creating safer communities across the world. Citizens are the heart of the community and can serve as the eyes and ears for law enforcement, particularly when they may be out of sight. According to research conducted by Scheider, Chapman and Schapiro, “community policing encourages agencies to build up accounts of trust and goodwill to call upon when the inevitable crisis arises.” This not only includes citizen patrol programs but also the famous Zorro-masked, Neighborhood Watch programs. Nonetheless, this open-door policy is necessary for any governmental agency, particularly those who serve the public every day such as criminal justice agencies. Expanding the role of citizen participation in government ultimately opens up a door of opportunity, improvement, trust and advancement. Yet, these programs must be continuously monitored and evaluated to ensure accountability and transparency. A prime example of this involves the famous 2012 Trayvohn Martin case in Sanford, Florida where a neighborhood watchman (tasked with preserving order and safety in the community in which he resided) did just the opposite. 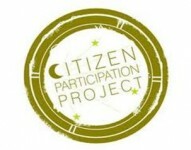 Due to the potential of such mishaps and abuse of these programs, expanding the role of citizens in government will take more than just the Zorro-masked neighborhood watch signs and participants or the volunteer citizen patrols—it will take constant evaluation and training of both citizens and public administrators alike. In closing, expanding the role of public administration involves the participation of both public administrators and citizens. In order to be successful, all participants must be willing to compromise, collaborate, share ideas and above all, exercise integrity. I must reiterate the importance of training, transparency and evaluation, especially in maintaining this approach. This is particularly true in the criminal justice system as it can help produce the buy-in to the “open-door” concept of government. Doing so will reduce crime. But it will also increase the relationship between the criminal justice system and citizens—a relationship that has been lost due to the rampant corruption and abuse within the system— and will aid in endorsing the White House’s current Open Government Initiative. Such a great idea to have an open door policy! Just hope the people who need to hear have ears to listen. will keep an eye on this to see how it goes. Thank you!